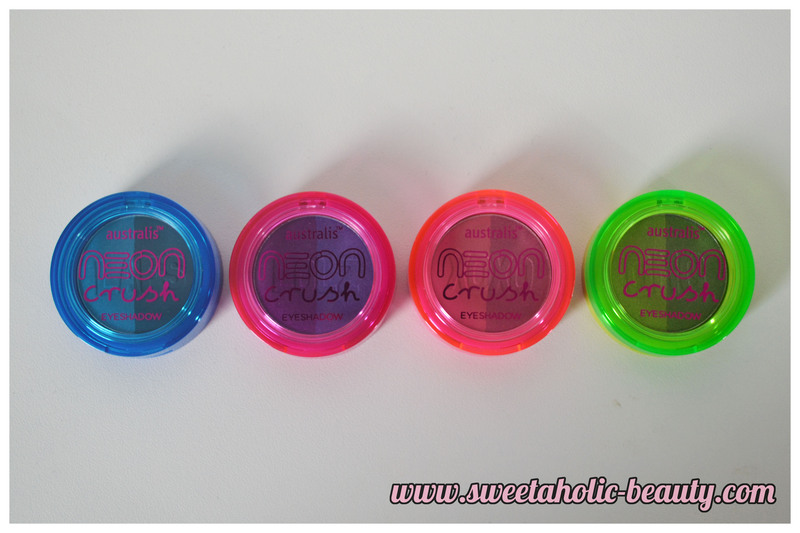 A little while ago, Australis Cosmetics introduced a new range called Neon Crush. I'll admit that I was not at all interested in the range. I do find that more releases by Australis Cosmetics seem to be aimed at younger teenagers, which is fine, but it means that I'm far less interested! During the 40% off cosmetics sale at Priceline, I decided to have a look around. I ended up trying out one of the Neon Crush Duo's in store, and decided that yes, I indeed need to walk out with all four duos. Once you look past the candy coating, you can see the amazing insides. How gorgeous do these colours actually look! If only I had paid closer attention to this release earlier so I could have worn these amazing shades throughout the whole 2 weeks of the Melbourne summer! The blues and purples are definitely my favourite. Both duos are really strong, and could be used in day to day looks. I love the first side of the blue, as it's so shimmery and gorgeous. Both purples are ridiculously wearable and I'll get a lot of wear out of these ones! The pinks are truly beautiful, and much stronger than other pinks I've tried in the past. The colours are really pigmented, I was so impressed. The greens really blew me away. Look at how amazing those greens are! So pigmented, and such gorgeous and unique colours! 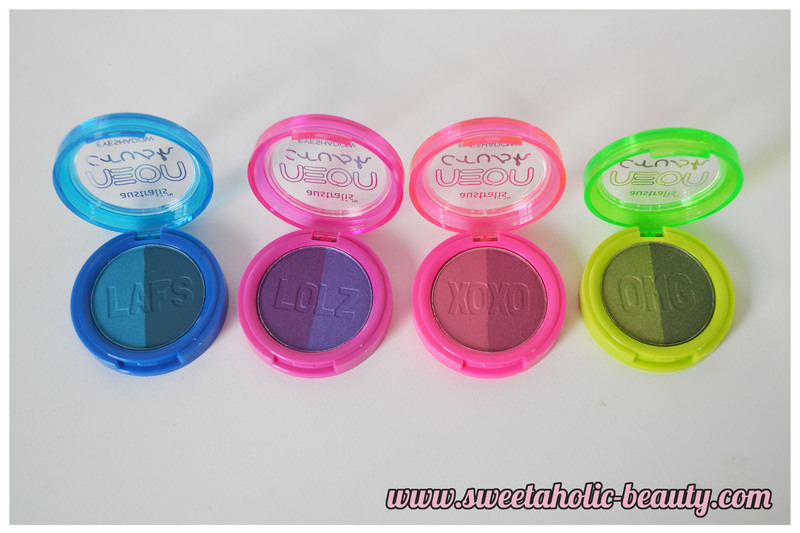 In terms of application, I found all colours to be buttery soft, and they blend like a dream. 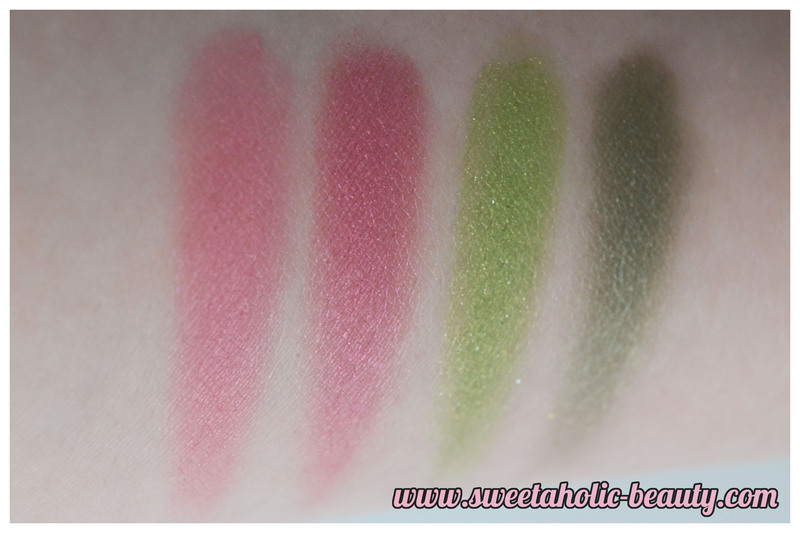 The pigmentation of all colours are amazing for a drug store brand, and looking at the swatches I feel that these are comparable to pressed colours by gorgeous companies such as Sugarpill. I'm kicking myself for not picking these up, but I'm thrilled that I now have. Considering the duos retail at only $7.95 each, I'd say these are an absolute steal! 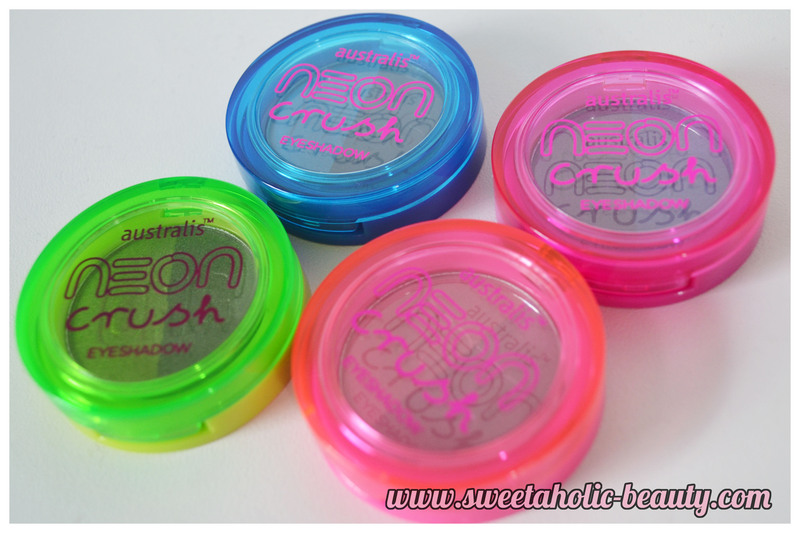 Have you tried the Australis Cosmetics Neon Crush Eyeshadow Duos yet? If so, what did you think? Are you a fan of the neon look? The packaging looks terrible, but the pink shadows look great! I probably won't get any wear out of these but they look like fun colours! The names and the packaging... Goodness. LAFS and LOLZ look lovely though! I really like the greens! I'm so glad I decided to look at this post... I brushed these off too in the store because they look so tacky. But wow! 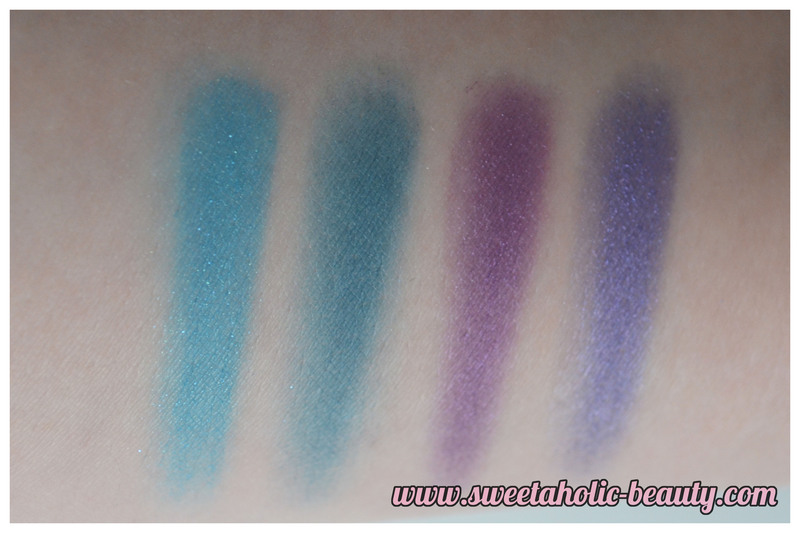 The swatches are so lovely! I'm on the hunt for a great pigmented pink and you may have found it for me! Same as everyone - was put off by the packaging and the names, thinking 'I'm too old for these!" But the pinks look especially good...I love the rose-gold eye that's around at the moment. Great for green eyes.